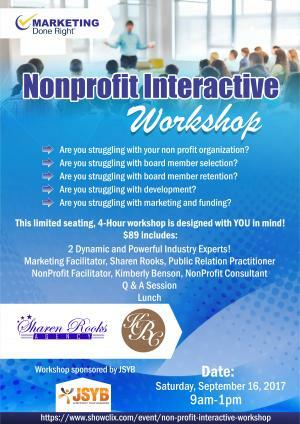 Are you struggling with your non profit organization? Are you struggling with board member selection? Are you struggling with board member retention? Are you struggling with development? Are you struggling with marketing and funding? 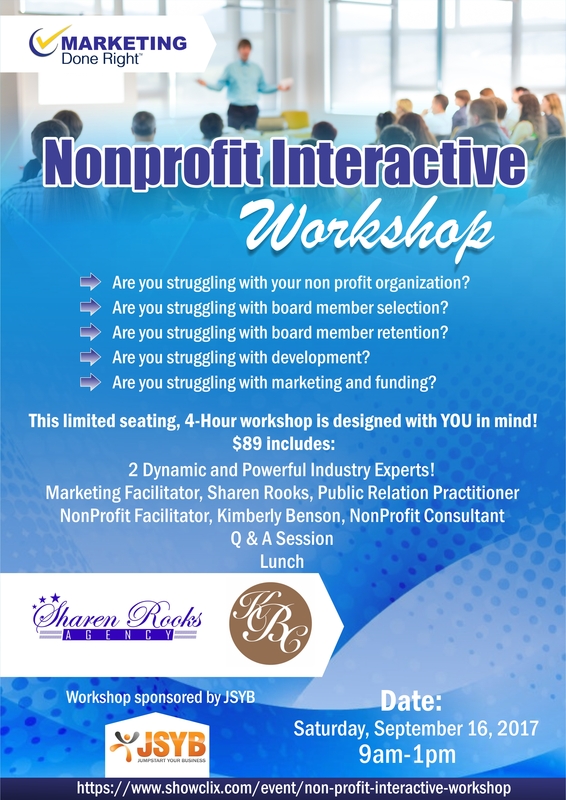 This limited seating, 4-Hour workshop is designed with YOU in mind! 2 Dynamic and Powerful Industry Experts!